St. Elisabeth-Hospital in Leipzig, Germany, formally opened its new OR complex in August 2018, setting new standards in patient care and working conditions for its surgical teams. 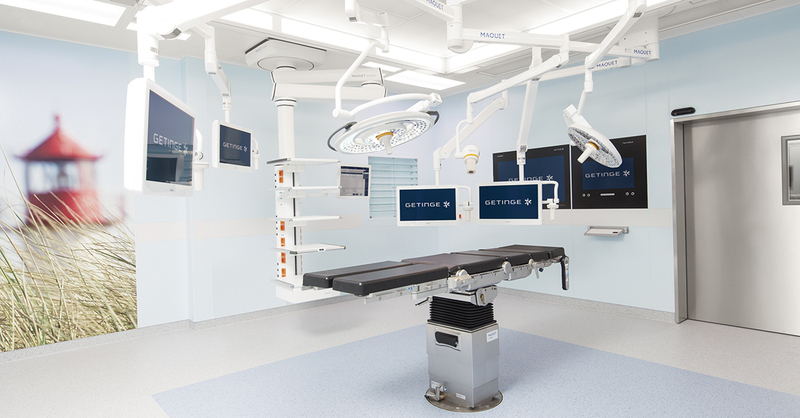 Both new operating theatres have been fully equipped by Getinge and are suitable for the entire spectrum of surgical procedures. The hospital already chose Getinge to equip one of its operating theatres back in 2009. Since this time, the two organizations have had a lasting and trusting partnership, so St. Elisabeth-Hospital decided to collaborate with Getinge again on the newly-planned operating theatres. The new operating theatre complex is so special because it is completely tailored to the needs of the doctors and nurses working there. Its combination of state-of-the-art technology and many functional and aesthetic details also takes the patients’ well-being into consideration: large wall paintings, a special lighting concept and the installation of a sound system help patients feel more at ease in exceptional circumstances. All of this contributes to a good atmosphere. “I have been working at St. Elisabeth-Hospital for almost 13 years now. There is a very special atmosphere here, characterized by the hospital’s medical competence, humanity and Christian approach. I very much appreciate the way all of our different professional groups interact with each other in our daily work,” explains Dr. Knoll. It took just over a year to plan and implement the project. “Thanks to a close and trusting collaboration with the clinic, short distances and a direct line to the decision makers, we were able to work very effectively. 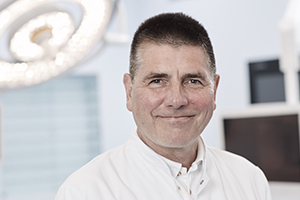 The result is a surgical complex that, in Germany, probably only exists in this form at St. Elisabeth-Hospital in Leipzig,” says Olaf Barthel, who works for Getinge Surgical Workflows’ Sales Division (South) and already played a leading role in the 2009 project.